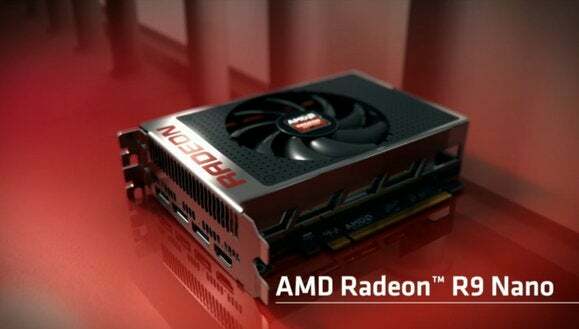 The Radeon R9 Nano video card uses high-bandwidth memory and AMD's powerful Fiji GPU to offer flagship-level graphics performance in a six-inch form factor. AMD’s computing and graphics division may have sunk screaming into a sarlacc pit last quarter, but those results were riding on the shoulders of Radeon R200-series video cards nearly two full years old. The Radeon crew’s gearing up for a more bountiful future with the recent release of its powerful Fury X and Fury graphics cards, built with cutting-edge high-bandwidth memory and AMD’s most powerful processor yet—Fiji. During AMD’s earnings call Thursday, CEO Lisa Su let slip a more concrete launch window for the oddest, most intriguing member of the Fiji lineup: The Radeon R9 Nano. AMD's Fiji processor. The four small squares arranged around the black AMD-marked chip in the middle are HBM stacks. The R9 Nano, like the 7.64-inch flagship Fury X, will take advantage of HBM’s integration directly on the Fiji die to shrink the overall length of the card down to crazy small proportions. The Nano is a mere six inches long, and unlike the Fury X, doesn’t require an integrated closed-loop liquid cooling solution to stay frosty—which makes you naturally wonder how much punch it’ll have. Don’t be worried. The Fury X’s GPU packs a whopping 4096 stream processors, while the air-cooled Fury rocks a cut-down version with 3584. 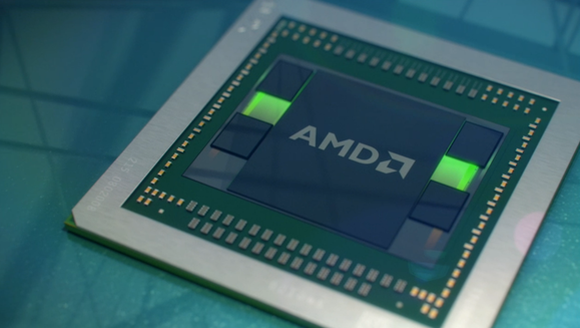 AMD hasn’t confirmed the R9 Nano’s exact specs yet, CEO Su has said that the six-inch card will offer “significantly more performance than the Radeon R9 290X,” AMD’s previous-generation flagship. Color us intrigued—especially for small form factor builds like Steam Machines. Another monstrous Radeon with not one, but two Fiji processors is also slated to launch sometime this fall.